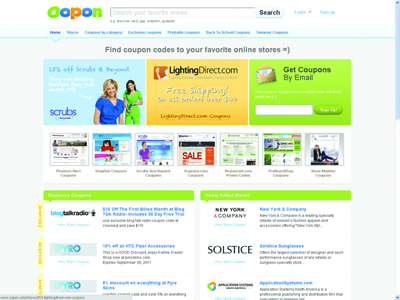 Oopon hooks up people with the latest coupon codes to their favorite online stores. Oopon offers a fun and enjoyable user experience. Thanks for being vague, what does that really mean? It means we spend hours upon hours creating fun custom content for the site that we hope connects with the people who use Oopon. We also took the time build in some fun surprises into the site. When people see them, we expect them to say “that’s pretty cool, I sure like this Oopon site.” We intend to make the Oopon user experience so enjoyable and fun that people will always visit Oopon first when they need a coupon code.